The Judean People’s Front is proud to report that the latest BDS attempt to silence pro-Israel voices on college campuses has failed miserably! On November 19 – the same day that Palestinian terror attacks killed 2 Israelis, 1 Palestinian and an American Jew – Students Allied for Freedom and Equality (SAFE), an anti-Israel group at the University of Michigan, erected a mock checkpoint on campus. While walking to class sophomore and Central Student Government representative, Jesse Arm, challenged the protesters. 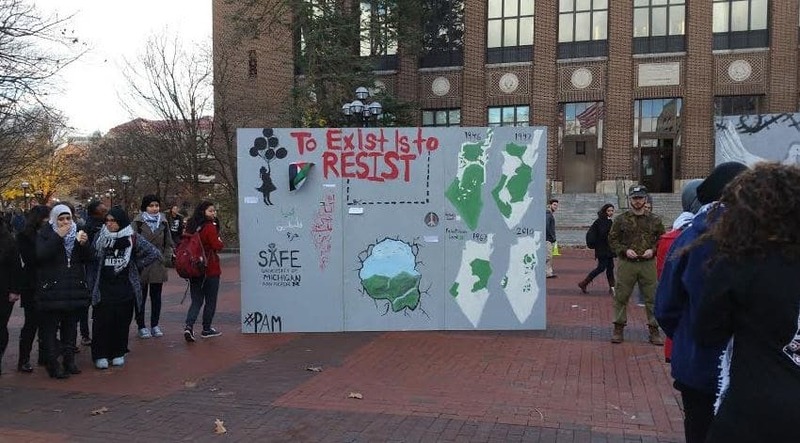 The protest included students dressed as Israeli soldiers and two large walls with a dove in a sniper’s cross-hairs, a poorly drawn version of the map that lies and “TO EXIST IS TO RESIST” written in large red letters. Mr. Arm confronted the protesters about their provocative message questioning both the taste and timing of the event. After this brief encounter, the Central Student Government, at the urging of SAFE, called for an ethics probe to determine if Mr. Arm should be expelled from the student government. Unfortunately for SAFE, their own video recording of the event (which has yet to be released to the wider public) was to prove their own undoing. After watching the video, Mr. Arm was unanimously vindicated as it showed he did not engage in any form of intimidation, hate speech or aggression and despite the fact that it happened on the same day as a fellow American Jewish student was murdered by Palestinian jihadists, Mr. Arm conducted himself respectfully though forcefully. The response from the Ethics Committee was unanimous, unambiguous and precedent-setting given that this was the first time an ethics probe had ever been initiated at the University. After reviewing video evidence and hearing testimonies from involved parties, the Central Student Government Ethics Committee has **unanimously decided to recommend that the Assembly take no action against Representative Jesse Arm** for his involvement in the incident on the Diag. Representative Arm did not engage in unethical behavior or engage in conduct unbecoming of a representative. Article VIII, Section 1 of the Constitution of the Student Body of the Ann Arbor Campus of the University of Michigan states that “no authority, academic or civil, shall infringe on a student’s freedom of speech, freedom to peacefully assemble, or freedom to demonstrate grievances.” Just as the SAFE had the right to peacefully assemble in the Diag, Representative Jesse Arm had the right to voice his opinion. Members of our community and Representatives of the Assembly may question whether a minor warning, formal warning, or formal reprimand may have been appropriate in this situation. The Constitution of the Student Body states that the Constitution has supremacy over any provision of another student code, including Central Student Government’s Operating Procedure. Article VIII, Section 3 of the Constitution states that “students shall be free from all rules and regulations not uniform in nature or not fully and clearly formulated.” Without clear definitions or standards, the Committee believes that we cannot issue a warning. The Ethics Committee took up this investigation and went through this process with no precedent. We were informed that this is the first Ethics Committee investigation ever. Representative Arm undoubtedly spoke with heavy emotion when he discussed the demonstration with representatives of SAFE in the Diag. **He spoke passionately, but he remained well inside his First Amendment rights. ** His choice to speak his opinion and demonstrate grievances is not unbecoming of a representative. Representative Arm asked for all students present to take a moment of silence. Representative Arm never identified himself as a representative of Central Student Government. He never attempted speak on behalf of Central Student Government or even mentioned the governing body. He asked SAFE to continue the dialogue at a later point and offered to share his contact information. He did not curse, nor did he use hateful language. He should not be penalized because he is passionate and cares deeply about this issue. The Ethics Committee encourages students and representatives to continue to passionately and respectfully advocate on behalf of the causes they believe in. 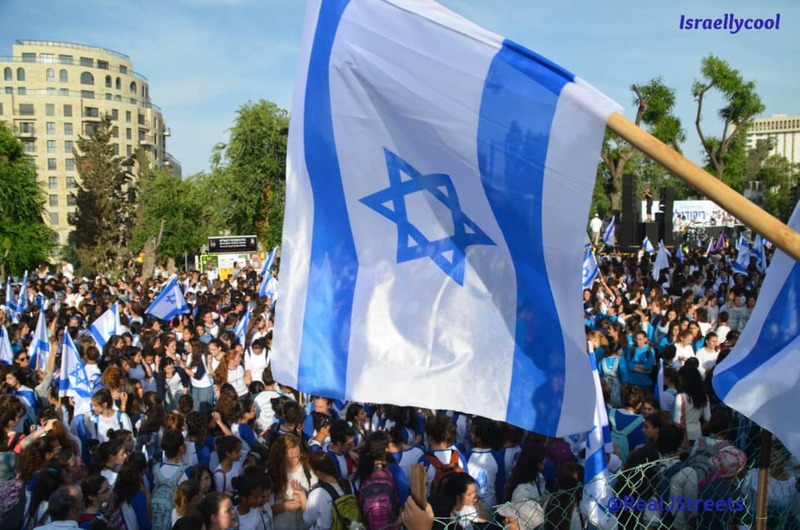 At a time when BDS bullies seem to feel more emboldened to disrupt academic events they disagree with and Jewish and pro-Israel students feel intimidated, this is an incredibly important event. Anti-Israel haters who sought to stifle free speech and expel a pro-Israel student from the student government were resoundingly shut down in the name of academic freedom. 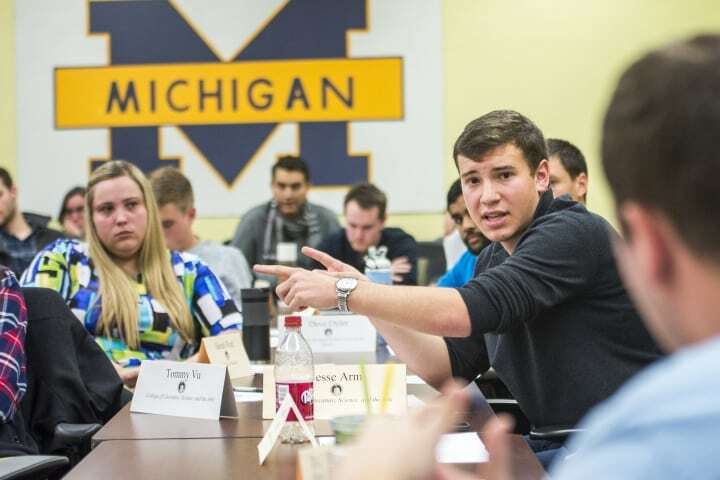 While it is still troubling that the one and only Ethics Probe ever at the University of Michigan was against a Jewish student standing up for Jewish rights, it is heartening to see that not every campus has allowed the radical anti-free speech, anti-Zionist agenda take over.